On December 9, more than 40 friends and family gathered to help Bill and Trudy Grizard of Grass Valley celebrate their 70th wedding anniversary at the Alta Sierra Country Club. 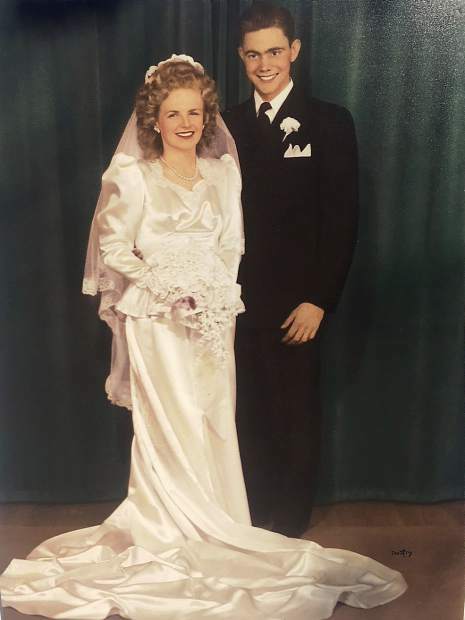 Bill and Trudy were married on December 6th, 1947 in San Francisco and have lived in California for their entire married lives, the last 36 in Grass Valley. Helping them celebrate their milestone were their four children — Bill, Dale and Kevin Grizard, and sister Kathie Harnden. Also present were 12 grandchildren and 10 great-grandchildren.